Home > DIY Design Inspiration > Home Remodeling Adds Value to Your Life! Home remodeling can be expensive. Knowing what sort of remodel techniques are the most amenable to profitability is key to recouping construction investments. Following are explanations of several popular remodeling endeavors that can be profitable if done correctly. Your kitchen is going to be one of the most used rooms in the house. As a result, natural wear and tear are especially apparent in this area. A remodel will likely be a necessity over time anyway. Even if you’re not looking to upgrade property value, appliances, components, counters, and floors will all erode over time. Counters will get dented, scratched, and overrun with varying substances. The tile will crack, linoleum will peel, wood will warp, and carpet will stain. Sinks get leaks in them, and faucets quit working. Garbage compactors are notorious for going on the fritz, and older dishwashers eventually surpass their ability to function normally. If you’re in any house longer than about five years, you can expect these areas to need refurbishment. The smart bit comes in cost-effectively upgrading appearance additionally. For around the cost of natural maintenance, you can find chic modern options that may not fit your ideal remodel, but will look good and be cost-effective. You will need to evaluate the cost of a face-lift versus a full remodel to see if it fits your budget and determine if a full remodel will re-coop your money upon resale. A patio or deck is going to add exceptional value to a property, but having it be profitable will again hinge on many factors. 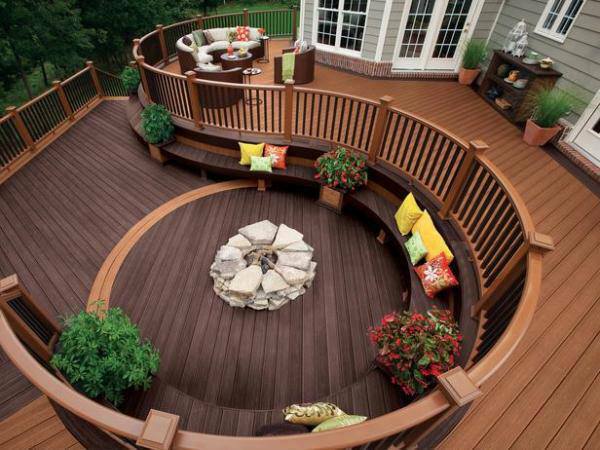 Most notably, which deck installers you choose will go a long way toward determining your overall expense. Licensed deck-builders are going to make a plan and run it by you with complete transparency. It is always a good idea to start with a professional who can develop a plan first and then cost your project out completely in order for you determine whether or not it fits your budget. Without a proper plan, you might be well into the remodel only to find out it’s over your budget, which would be a complete disaster. A plan upfront also eliminates costly change orders that can run up costs. If you can list your house as a five bedroom property, rather than a four bedroom property, this could result in a higher listing. Converting the attic may not be as difficult as you think, but it will be a proposition which is unique to a given piece of real estate. Some attics are strong enough to support being painted, carpeted, wallpapered, and lit. Most will have some electrical system if only for the pull-lamp in the middle of the room. Once again, I recommend consulting with a licensed interior designer to develop a plan putting everybody on the same page. The greatest advantage of a remodel isn’t even the additional property value. It’s having the joy of seeing your vision come to a reality, and being able to personally enjoy it. Yes, I think it is important to stay up on home improvements for comfort alone, but it also adds true value to your home.